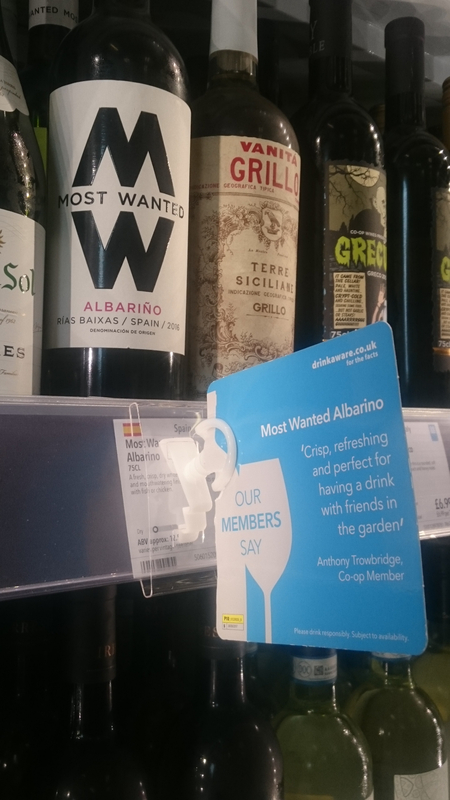 Our members Bob, Karen, Anthony, Alison, Deborah and Gary can justifiably add the words ‘wine critic’ to their profiles, now that their reviews are appearing on shelves in Co-ops around the country. They joined in to get a taste of a new online Co-op wine club we’re developing – a ‘work in progress’ that was created to test the idea of a member wine community. We were keen to get members sharing their thoughts and opinions of our wines with one another, so we got the ball rolling by offering them some free wine to try and feedback on. We also received some great comments and ideas about the content of the site, and took away some useful learnings about ordering and delivery, that we’re still working through. Hundreds of wine reviews were submitted by members onto the site, and the Co-op wine team has been sifting through them all to hand-picked six crisp, punchy ones that leave a wonderful aftertaste. These are now on display for the next few weeks in over 100 of our stores. Thanks to all the members who joined in to test the online platform and our wines. It’s been great to hear that most members got some real value from the test site and fantastic reading all the feedback on our wines from real members. So often, wine labels fall back on ‘winespeak’ – lots of talk about ‘tannin’ and ‘finish’ really puts some people off – so it will be great to see how members respond to these no-nonsense reviews. I’m keen to see how the reviews fit in with the other messages members see in store when they’re choosing a bottle of wine and, ultimately, whether it influences their decision on the wine they purchase. We’ve looked at member-created wine reviews on a small scale before when we invited members in Holmfirth to sample wine and feedback their thoughts on it. We displayed these in the Holmfirth store, and now it’s great to be able to scale this up and see whether members like it. We’re still exploring where we go next with the online wine club and will keep you posted. In the meantime, it would be lovely to hear your thoughts about these member-created reviews. Are they a refreshing change from ‘winespeak’? Do you think they’d be something that you’d take into account when you were buying your wine? If you’ve got a moment, please leave a comment below to share your thoughts. Then head over to Join in to get involved in something else! Love the whole idea of customer reviews of wine rather than just the blurb from professionals. It’s a very Co-Op thing to do – great idea! I think that customer reviews help undecided people choose. It’s always nice to know if other people have enjoyed drinking it.